The weather this week was less than fantastic. We’ve still been getting out (almost) every day, but not for as long as we normally would, and we are sticking a bit closer to home so we have easy access to changes of clothes if we get caught in a downpour. Having been at my parents’ house last weekend, Tom and I woke up there on Monday. 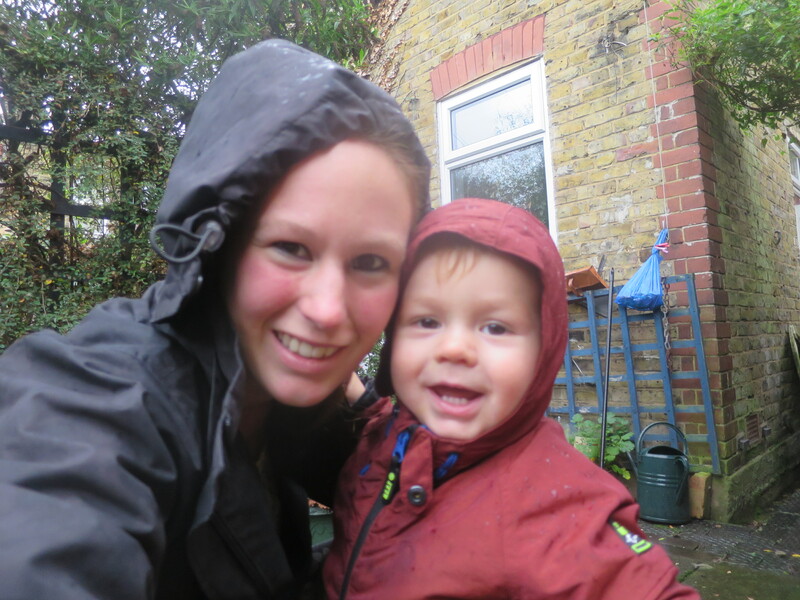 I had an appointment locally, so Tom and my mum explored the garden, chatted to the hens, and splashed about in some puddles. You can read more about our visit here. We drove back to London in the afternoon, but didn’t have time to head back out again before it got dark. Wednesday, we headed into town first thing for a second attempt at banking some cheques. Fortunately, I remembered my purse this time around. Banking achieved, we popped into a charity shop (scoring a new book and jumper for me and a couple of toys for Tom, all for under a tenner). Chores out of the way, we had the afternoon free for play. We headed out onto the Marshes, where I let Tom out of the buggy and gave him control of our route. As usual, this meant we were off in a completely different direction to what I had expected. And had to stop regularly to investigate sticks. Thursday, we walked to nursery as usual. On the way home that evening, Tom was walking back through the park with me when he discovered his shadow. I wish this photo was better because he was so cute trying to work out what it was. 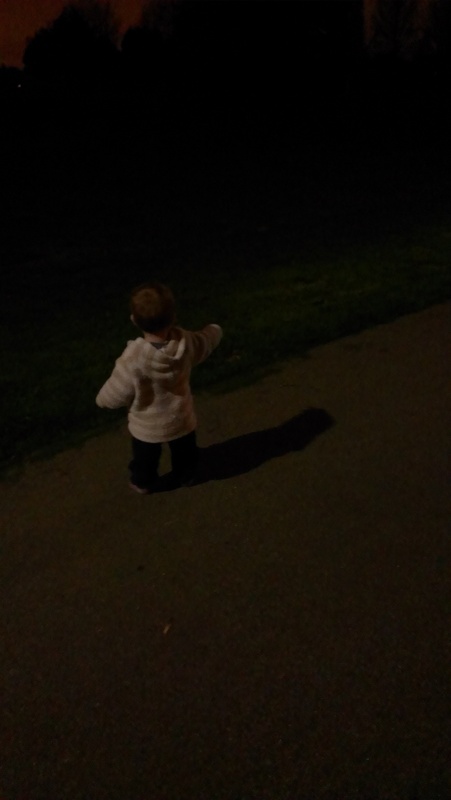 He also thought the shadows of the hanging baskets were puddles and was very confused when his feet didn’t get wet. Friday, again walk in to nursery as usual. We had some pretty extreme rain and a bit of hail during the day. Though it had cleared by the time I picked Tom up, I had forgotten his rain footies, so he had to stay in the buggy on our way home. He was probably relieved – it was pretty windy but he was kept sheltered and warm snuggled in his footmuff. 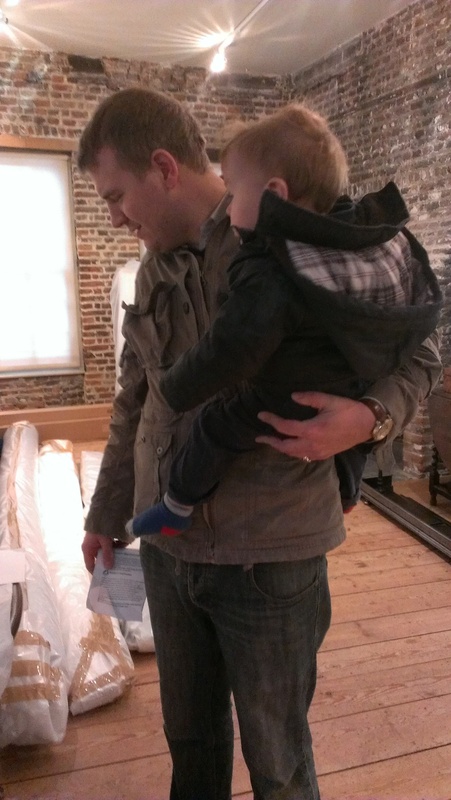 Saturday, the rain settled in for the long haul, so we headed to Sutton House for a drier, indoor visit. Thumbs down on outdoor play, but there was no way I was tempting Mr Techno out in that weather. Sunday, the rain had stopped, so we headed the park first thing. We didn’t bother with the buggy, as it is so close, but that did mean it took so long to walk there that we only had 10 minutes to actually play. Tom met a little 19 month old girl, who sweetly took his hand and helped him walk up and down the slopes in the play area (whilst her mum and I stood nearby going ‘ahhhh, cute!’ to each other). Unfortunately, the wind was pretty fierce, so they kept getting knocked over by it! 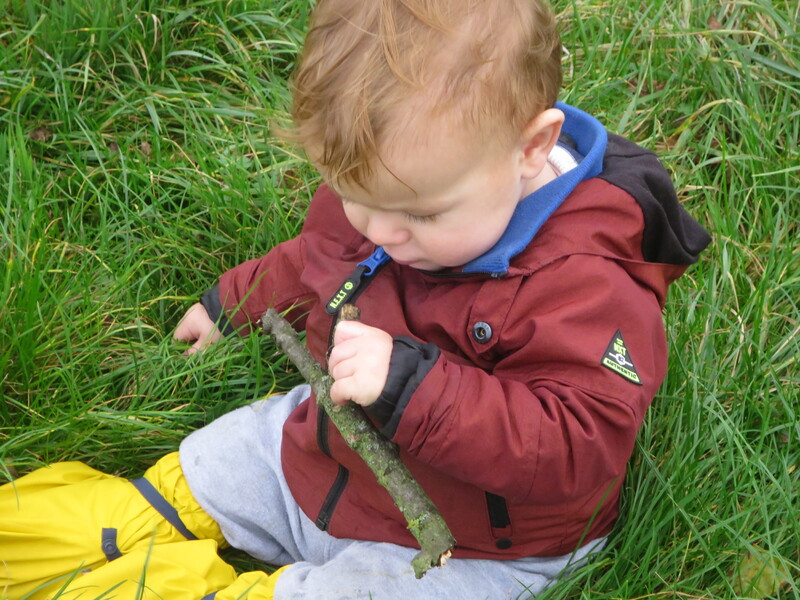 Wind was the theme of our afternoon – we headed out onto the Marshes with some props for windy day play. Post to follow. 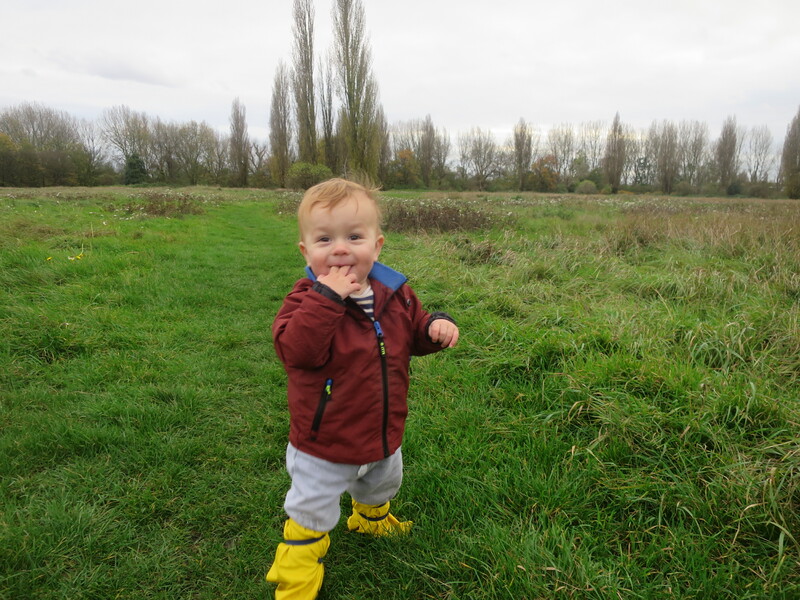 Posted on November 16, 2015 by LucyPosted in Weekly UpdateTagged East London, Hackney, Leyton, Outdoors, Sutton House, toddler, Wild Time, windy day play.